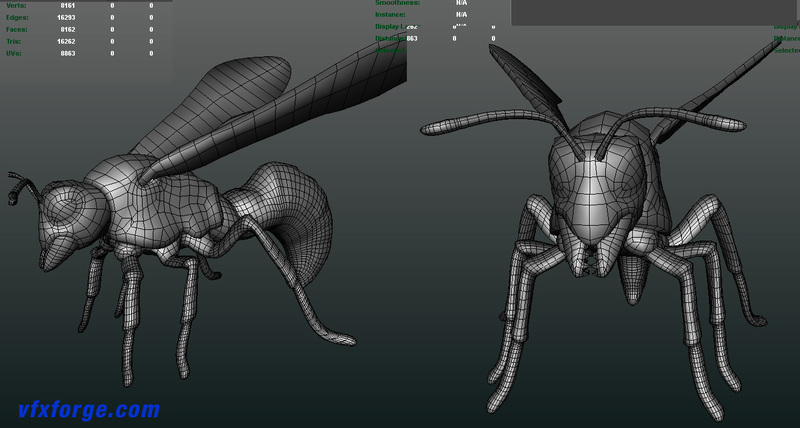 A speed production exercise to model, texture and shade a wasp for the animated feature Cerebus 3D. Time taken was 2 days for everything. polycount was fairly high as its going to be for closeups.